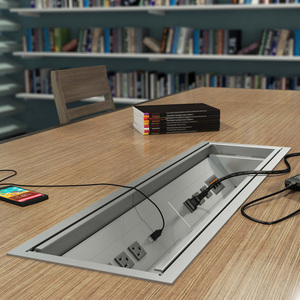 Power data outlets provide the versatile connectivity demanded by modern offices. 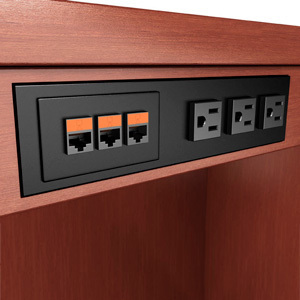 Put power receptacles, network jacks, powered USB ports, video inputs, and other connections within easy reach. 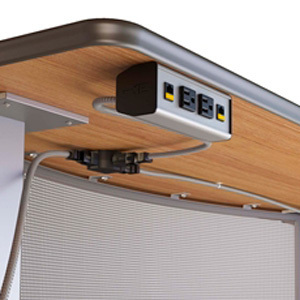 We offer solutions for traditional desks, meeting spaces, training tables, and mobile scenarios. 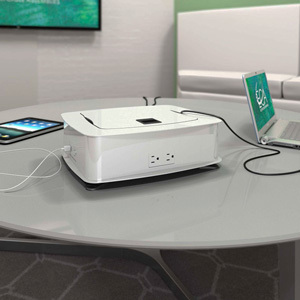 Outfit your home as well as your business – residences benefit from conveniently-placed ports and outlets too! 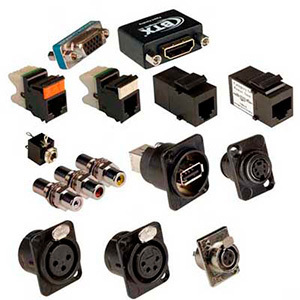 All models have earned UL, CSA, or ETL listing and most are available with completely customizable data connectors. 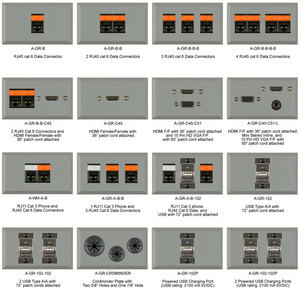 Choose from a variety of high-end designs and finishes. 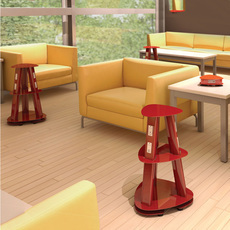 Want a splash of color? 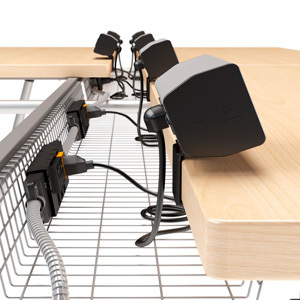 Buy a power data outlet from the 'Color Your Workspace' collection, available in a range of vivid hues.